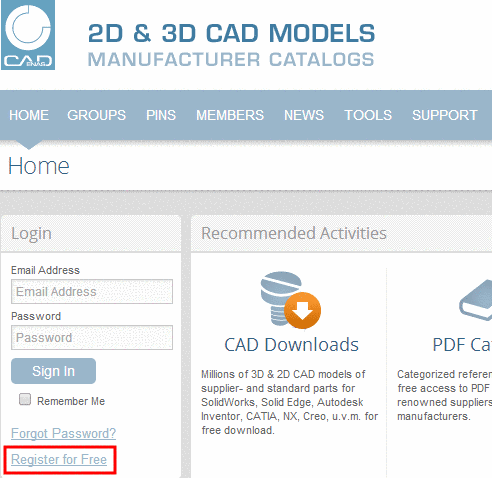 On the left side, click on the button "Register for Free" in order to create a free account. 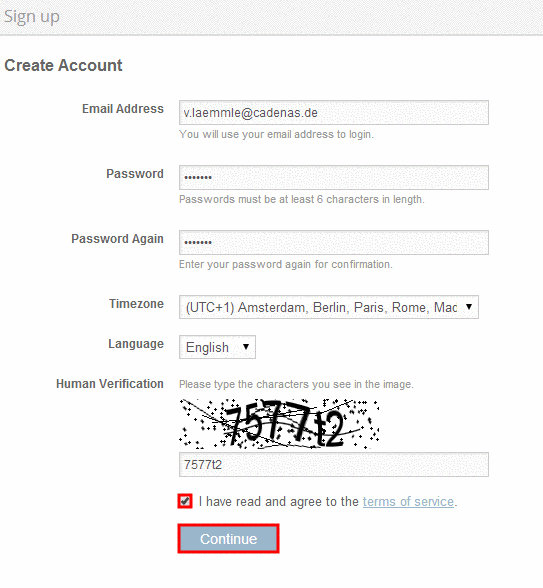 -> A dialog opens with a form for inputting your account information. In the next step the personal informations and informations about the company must be specified. Furthermore the field of activity, the CAD System, the PLM- or ERP system and more contact details can be specified. 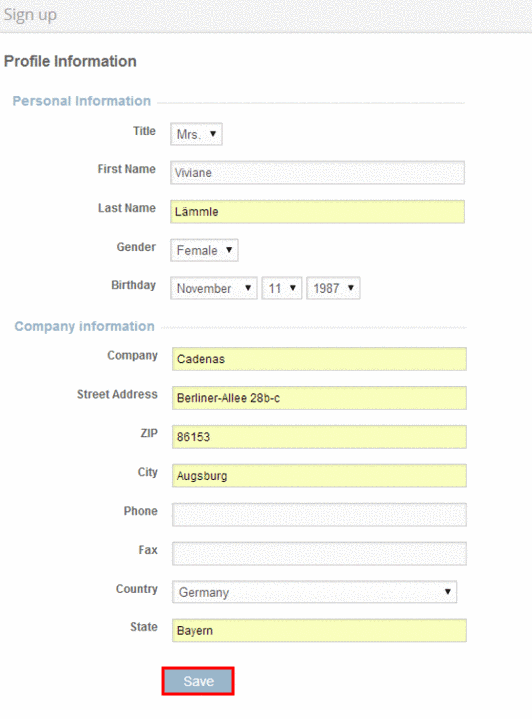 In order to verify that your details are correct, click on "Save"
First name, last name, company, zip code, country. By entering invalid Information appropriate information appears. 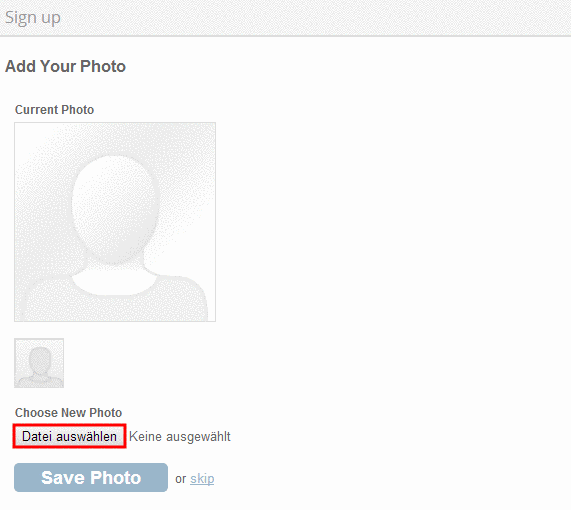 -> After that a picture can be added. 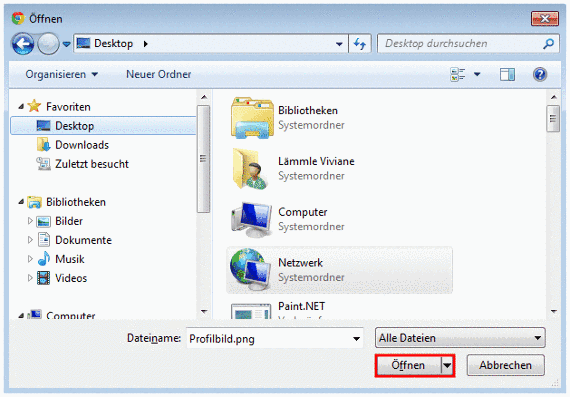 Click on "Select a file". 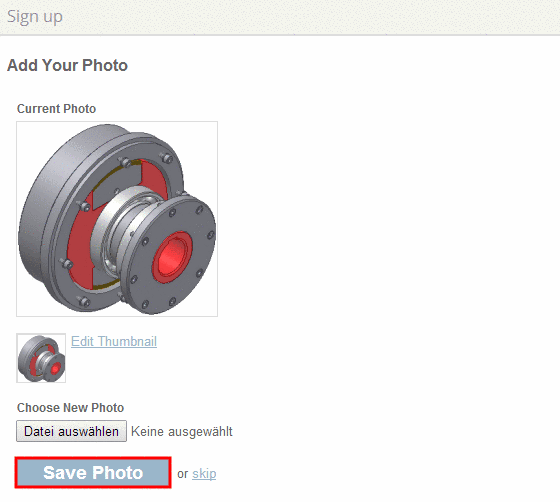 Choose the desired picture and open it by clicking the button "Open". 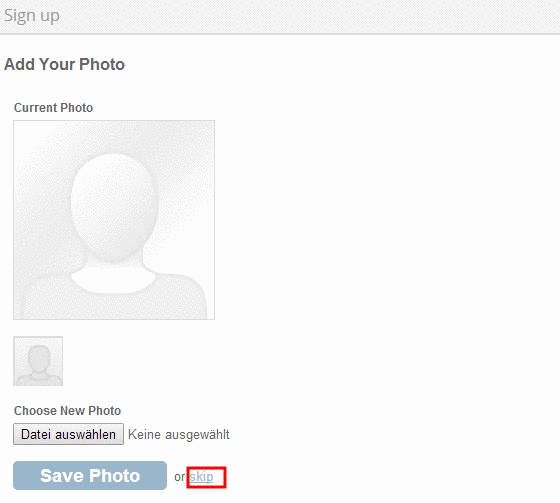 -> If no picture shall be uploaded this step can be skipped. -> The activation link will be sent to the specified e-mail address automatically. 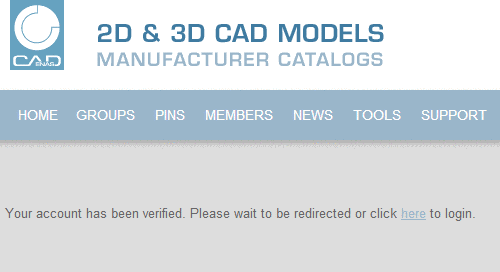 You will receive the confirmation „Your account has been verified. Please wait to be redirected or click here to login“ after that. 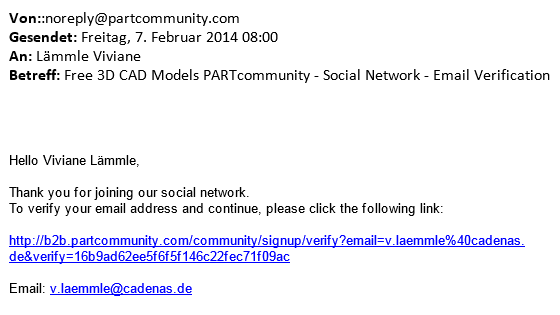 Furthermore you receive a welcoming e-mail of PARTcommunity, in which you'll be invited to login.